Home How To's How To Change Twitter Password | Twitter Password Reset | Working! Hello there, so this is one of those articles that will require you to follow attentively. After reading this you should have no issues in resetting or changing your twitter password. A couple of months ago I wrote a quite long article on how to reset Gmail Password which was quite helpful. Before I go on to show you how to change twitter password, you should know that this post doesn’t give you tips on how to hack your twitter account to reset password. 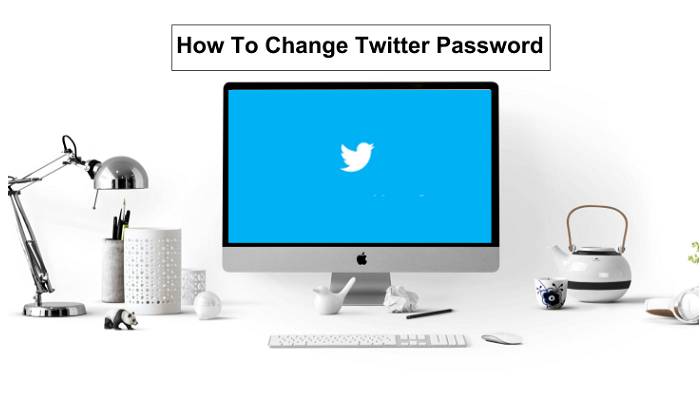 The tips I will show you are basic steps on how to change twitter password. As funny, weird or annoying as this may sound, the first thing you should consider is remembering your password. Hey! I know you want to see me right now and probably punch me in the face, but before you think of going Floyd Mayweather on me, you should just hear me out. It isn’t going to hurt is it? Cycle Through Your Other Passwords: There’s a high chance of remembering your password after doing this. Recall Your Life At The Time You Made The Password: Uhm, maybe your Ex girlfriend’s name? Or your old pet cat’s name? Make Sure You Are Typing Correctly: Once I almost went insane after trying to log in to my admin dashboard about 10 times with no success. (I was inputting the wrong characters). Good Old Thinking: As funny as this may sound, it does help! Just sit back or lay down and think, it might just come to you. You can find more tips to remember your password here! Okay, so you tried all the steps above and you still feel like punching me in the face? Here’s how to officially change twitter password or reset twitter password. 2. Click on the forgotten your password link just below the enter password field. 3. Enter your twitter email address that you used to sign up on Twitter and click on search. 4. Select your preferred method of recovery and click on continue. Twitter will send you a mail containing a link that can be used to change Twitter password. 5. Head over to your Email, open the mail and click on the blue (reset password) button. 6. Set your new password and click on submit. 7. Choose a reason for changing your Twitter password and then click on the submit button. 2. Enter the Phone Number you used to sign up on twitter. 3. On the next page, click on continue, Twitter will send you a text with a verification code. 4. Check Your phone for a text containing a code. You need to insert the code on Twitter. 5. Choose a new password and click on submit. So, let’s say you don’t have access to the email address or phone number used to create your twitter account, is it still possible to reset twitter password without email or phone number? A friend once asked me, I no longer have access to my phone number for twitter, what do I do? Are you asking that too? 2 Click on the forgot password link. 3. Insert your twitter username, email address, or phone number to help twitter locate your account. 4. Click on the “I don’t have access to any of these” below. 5. On the next page, enter your twitter username and click on search. 6. Insert an email you have access to, also insert a description of your problem. You might be prompted to pass a CAPTCHA. All you have to do afterward is sit back and wait for an email from twitter support. There you have it, that’s basically how to unlock twitter account without phone number. Twitter usually replies within 3 to 4 days, it could be less. If you don’t receive the email from Twitter early enough you can check your spam and trash folders. If you still haven’t seen the email, it could be that you provided Twitter with a wrong email. You can repeat the process and try using the correct Email this time. I hope this post helps you unlock twitter account without using phone number. Thanks for stopping by!